Just a reminder registration will be opening tonight at 8:30 pm!! Remember, spots are limited and fill up quickly, so please be sure to register in time. Please email us at camp@sikhyouthalliance.org with any questions. We look forward for another amazing year at camp!! 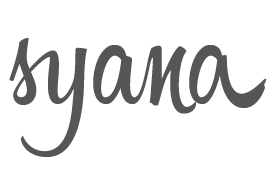 2017 SYANA GURMAT CAMP Registration Opening Soon! 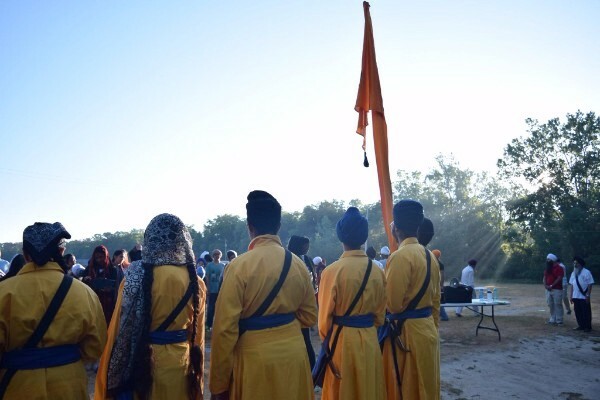 Sikh Youth Alliance of North America (SYANA) is excited to announce this year’s Gurmat camp will be held from July 2nd to July 8th at Camp Copneconic in Fenton, MI – approx. 60 minutes outside of Detroit. Online registration will open next week on Wednesday, May 10th, 2017 at www.sikhyouthalliance.org/camp. We will be sending out more information on the registration process in the upcoming days. SYANA Gurmat Camp returns for its third year to Camp Copneconic. Situated on 750 wooded acres around Lake Copneconic, the campsite offers a variety of programming including high ropes courses, archery, ziplines and water activities. A serene and natural atmosphere with dorm-like accommodations will help make sure our campers are comfortable throughout their stay. We have had great success at this campsite in the past few years and will continue to improve the already amazing camp experience by offering more personalized attention to each one of our campers. 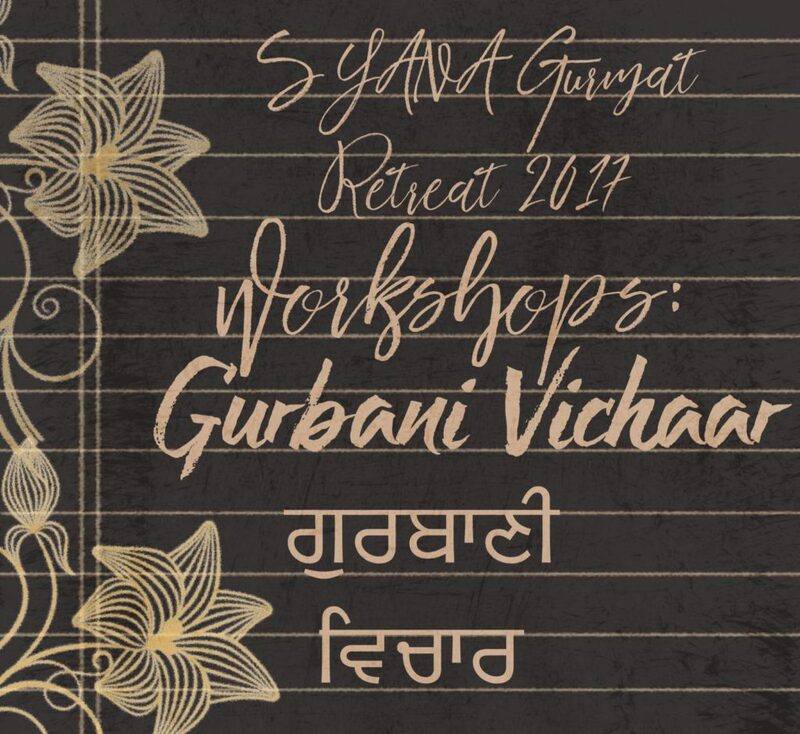 The Sikh Youth Alliance of America (SYANA) is excited to announce this year’s annual Gurmat retreat will be held from Friday, May 26 to Monday, May 29, 2017. This annual retreat aims to bring together young Sikh adults, ages 18-30, from all over North America. It is with Shabad Veechar, Gurmat based discussions, and peer-induced self reflection that we hope to create an environment leading to individual growth and Panthic progress. SYANA 2016 Gurmat Camp: Day One is Over! Day one has wrapped up and we have a lot to tell you! Yesterday after our first divan of #syana2016 we divided into groups for ice breakers where the campers got to know each other. After ice breakers, we got back together for our annual activity — A Pugh’s Life (A dastaar tying activity)!!! During this activity, campers got the chance to learn how to take care of their kes and practice tying different styles of dastars. Today was the very first day of classes where the kids began learning about Sikh Rehit Maryada, Sikh History from 1700-1800s, Gatka, and Keertan. In the Sikh Rehit Maryada classes, campers delved into what qualities make a good Sikh and how a good Sikh should behave. Similarly, the campers discussed what it meant to have a daily discipline and what it means to have a personal living. Group B and C did a fun activity where they had to come up with group rules and guidelines. The campers quickly realized that creating these disciplines was a difficult task. Creating a few rules and regulations for roughly 35 campers was difficult enough, imagine how much time and communication it must have taken to create the Rehit Maryada! 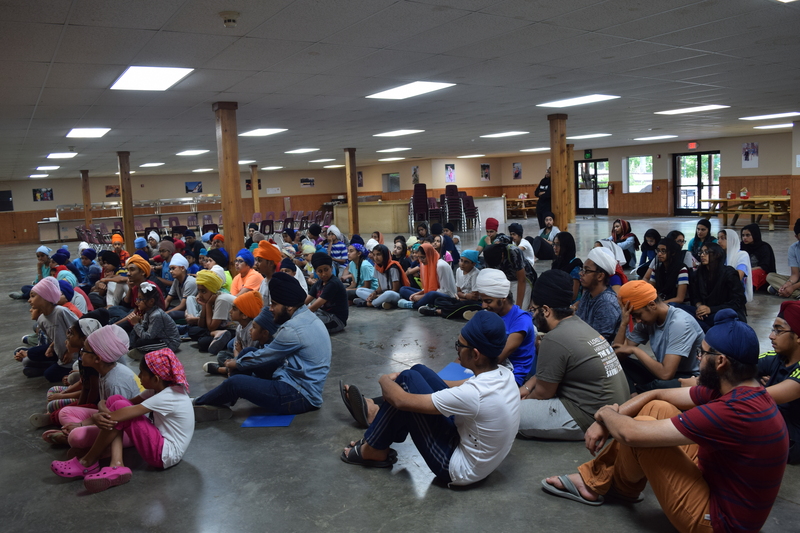 In the second class, the campers were introduced to Sikh History from the 1700-1800s. This was around the time where Guru Gobind Singh Ji’s physical form left this world and the Guru Ganth and Guru Panth were established. The campers also learned about Banda Singh Bahadar’s life, accomplishments, and after his shaheedi when Sikhs had to retreat into the jungles because there was a price on their heads! Moreover, the instructors highlighted the importance of staying in chardi kala during these hard and dark times and always being in discipline! Group B Sikh History campers did an activity where they had to imagine they were the Sikh soldiers living in the jungle and had to live without food or family for weeks. If these Sikhs had the opportunity to send a letter home to their families, what would they say? After getting into the mindset of these Sikhs and writing the letters, the campers talked about staying in chardi kala and always being positive! In Gatka Class, Groups A and B were split into two groups. The first group worked on footwork and range of attack. The second group practiced shastar vidya and the panthra, the Gatka warm-up. The techniques learned are fundamental basics which will help the campers advance and create a better Sant Sipahi lifestyle! This shabad, written by Guru Raam Das Ji, discusses how those GurSikhs who walk on the path of Sikhi and walk towards Vaheguru are forever blessed! Each day, campers learn one tukh of the shabad and by the end of the week, the campers should understand and know the meaning of the whole shabad! So, make sure you ask your kids about the theme shabad!! The campers were full of energy and ready to learn a lot today! We can’t wait to send you more updates throughout the week!